For this card, I CASEd the lovely Miriam @ Cards and Scrapping. 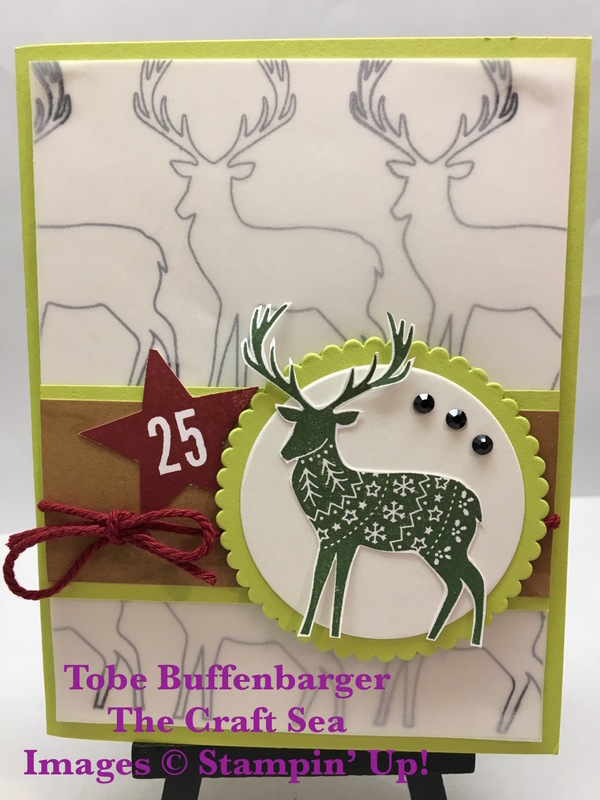 Lemon Lime Twist is such a great color for Christmas and the reindeer outline is perfect! I ended dup switching out the small stamped sentiment to use the 25 image from my 25 Days retired stamp set.